Rev. 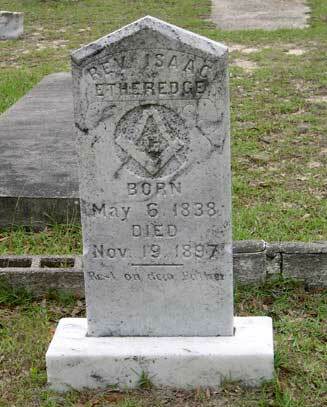 Isaac J. Etheridge was born on May 6, 1838 somewhere in South Carolina and died on November 19, 1897 in Bascom, Jackson Co., Florida. He lived to be 59 years old. Enlisted on 4/19/1861 on Served in the CSA SC 21 reg. Co. A. This units belonged to "Hagood's Brigade" and were the 7th SC Battalion. He was honorably discharge on 4/9/1865. Battles he may had fought in: 7/11 /1863 at Charleston, SC, 5/16/ 1864 at Drewry's Bluff, VA, 6/16 / 1864 at Petersburg, VA, 6/18 /1864 at Petersburg, VA. He was born in SC. 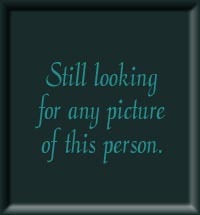 (He is stated in the 1870 census as being born in Pitt Co. NC) At age twelve he is living in Winyaw, Georgetown Co. SC. In 1864 he married Mary Long and after the war moved to Black River, Georgetown Co., SC with his family. By 1880 they had moved to Gwinnett Co. GA, a short time later they moved to Bascom, FL. Recorded as family #103: John Ethridge (age 48), Ann (age 40), Elisa (male, age 17), Isaac (male, age 12), Wmn (male, age 10), R.G. (male, age 8), Ann L. (female, age 3) and C.F. (male, age 9 months). John is a farmer and estimates the value of his estate to be $300. John and Ann were born in NC and their children in SC. The children between 8-12 years old have been attending school. J.C. Etheridge (age 22) and his wife, Eleanor, and son John are living next door. Isaac Etheridge enlisted on 4/19/1861 and Served in the CSA Co. A, 21st Infantry Regiment SC, under Capt. J. H. Read. Isaac Etheridge enlisted on 4/19/1861 and Served in the CSA Co. A, 21st Infantry Regiment SC, under Capt. J. H. Read. He was honorably discharge at Appomattox, VA on 4/9/1865. Recorded as Family #1003: Issac Ethridge (age 30), Mary (age 25), Issac Jr. (age 3) and Jack (age 2). Issac is a farmer and estimates the value of his property to be $75. He and Mary were born in Pitt County NC while both children were born in Black Rivers SC. Several families with the last name of "Long" and "Ethridge" are also recorded on the same census page. These include the families of Sampson & Rachel Long, William & Julia Etherdige, John & Ellen Etheridge, and Mathers & Jane Ethridge. Recorded as Family #278: Isac Etheridge (age 41), Mary (wife, age 35), Henry (son, age 13), Charles (son, age 10), Annie (daughter, age 7), Mary (daughter, age 5), and Flarance (daughter, age 1 month). Isac and his two oldest sons are laborers. They say everyone was born in GA including their parents. Certificate #3212 -- Pension applied for on 2/29/1904 and 4/9/1909. States that Isaac Etheridge enlisted on 4/19/1861 and Served in the CSA Co. A, 21st Infantry Regiment SC, under Capt. J. H. Read. He was honorably discharge at Appomattox, VA on 4/9/1865. Wife Mary says her maiden name is Mary Long. They were married on 6/25/1864 in Georgetown Co. SC. She says she has continuously resided in Florida since 1/1/1885. She received $120.00 a month. 22 1860 About 63,000 men from South Carolina served in the Confederate armed forces. 30 1868 South Carolina was readmitted to the Union. Born on September 22, 1845 and died on May 12, 1910. Born in Black Rivers Co., South Carolina about 1867 and died somewhere in Florida about 1967. Actual dates are unknown and those shown are estimated. Born in Black Rivers County, South Carolina on an unknown day in August 1867 and died in St Andrews Bay, Bay County, Florida about 1917. He was 49 years old. Occupation: Electrician � Traveled North Florida installing electrical boxes in homes. He is buried in Perry, Taylor, FL. Born in Black Rivers, South Carolina about 1872 and died in Iron City, Seminole Co., Georgia about 1930. She was about 58 years old. 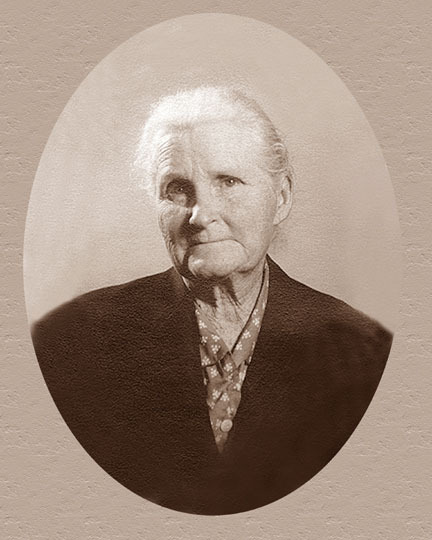 Born somewhere in Georgia on July 16, 1873 and died in Bascom, Florida on April 6, 1952. He was 78 years old. 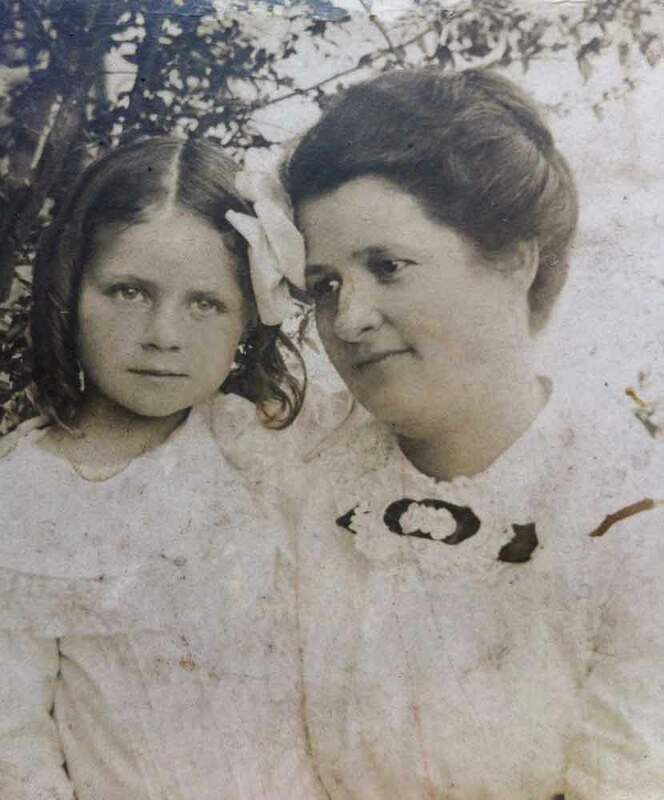 Born somewhere in Georgia on an unknown day in March 1879 and died in Bascom, Florida on September 15, 1957. She was 78 years old. She married Robert Calhoun Bevis (3/19/1877 to 7/23/1951). Born in Bulloch Co., Georgia on an unknown day in May 1881 and died in Perry, Taylor Co., Florida on February 22, 1943. She was 61 years old. Born somewhere in Georgia on July 11, 1882 and died in Altha, Florida on February 6, 1952. She was 69 years old.